I liked this book! Though I have to admit that it took me a while to really get into the book. It definitely gets better towards the end and there are a lot of plot twists. This book is told from Piper’s point of view. Piper is a heamon, a heamon is half deamon half human. Normally heamons posess magical powers, Piper is the only heamon without magical powers. Piper’s biggest dream is to become a Consul but that’s a problem since she’s a heamon without magical powers. I’m still not sure what to think of Piper. She’s badass but sometimes she can be a bit annoying. Her sidekicks are amazing. They are deamons called Lyre and Ash. Lyre is a big flirt, I love him, he’s adorable. But Ash is really badass and I love him as well. So I’m torn between Lyre and Ash, I might like one of them a tiny bit better but I still don’t know who to pick. Though Piper has two male sidekicks, this book biggest focus isn’t romance. If you like the fantasy/supernatural genre I’d definitely recommend this book to you, it also has a lot of humor in it so it’s fun to read. I can’t wait to read the second book! 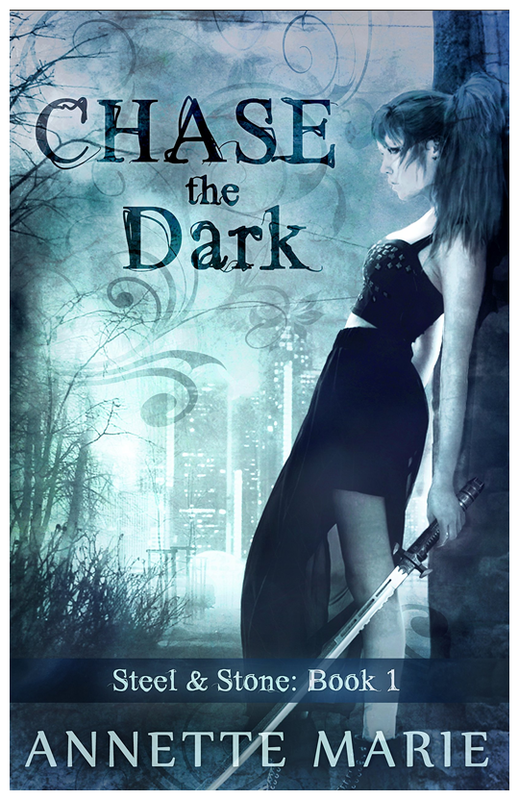 This entry was posted in 4 stars, net galley, Review and tagged annette marie, book review, book reviews, books, chase the dark, steel and stone.